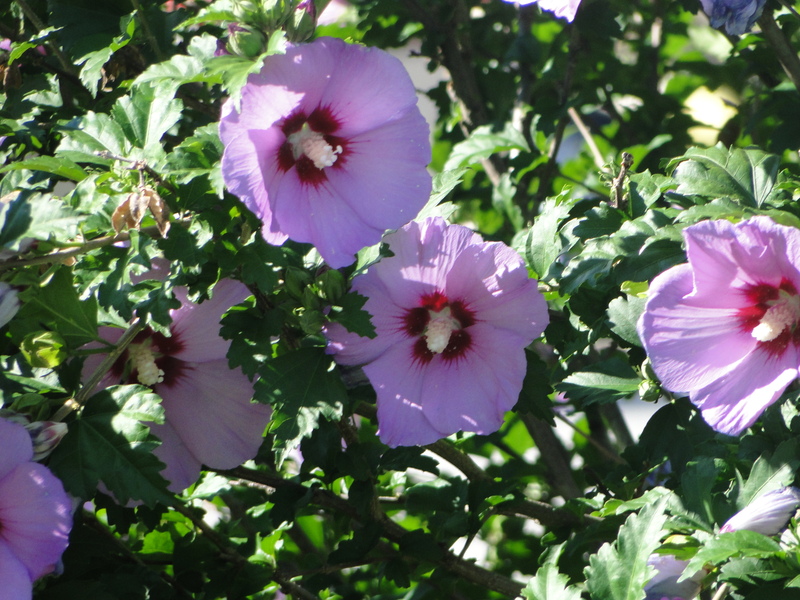 Despite being called a “Rose of Sharon”, these plants are actually belong to the Hibiscus genus. 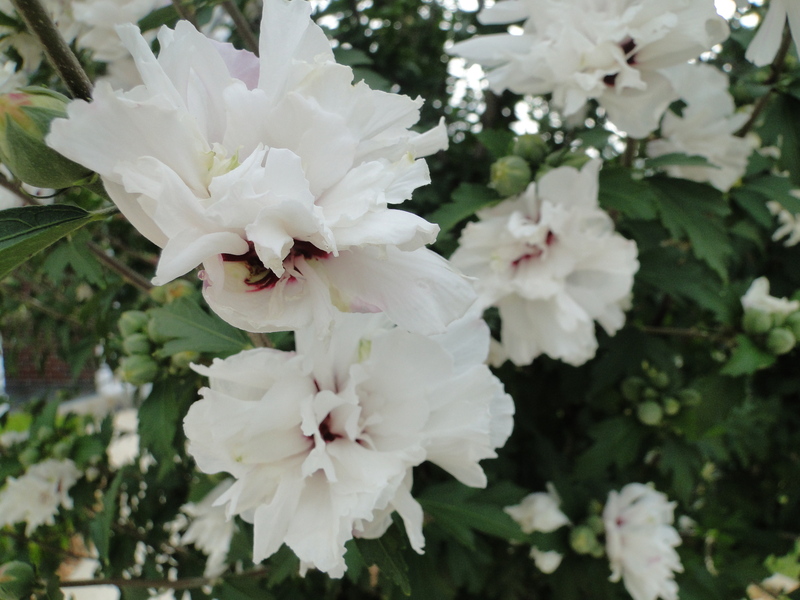 They are very tolerant of many conditions, making them very appealing garden shrubs. The grow moderately fast, and can look marvelous when flowering. Flowers range from white to pink to purple to red; ‘Minerva’ has lavender petals and a red “eye” (center of the flower). I first encountered Roses of Sharons at my grandfather’s house, where he received quite a few from a friend. 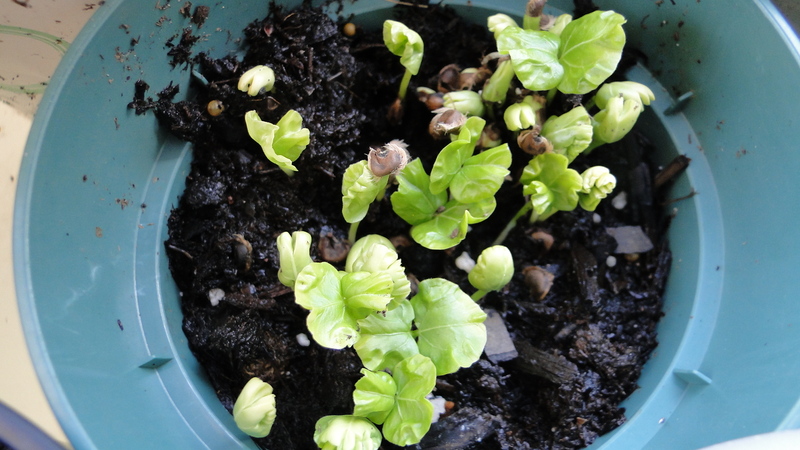 He actually complained how many sprouted up on their own, although I was eager to try and get the seeds to germinate. 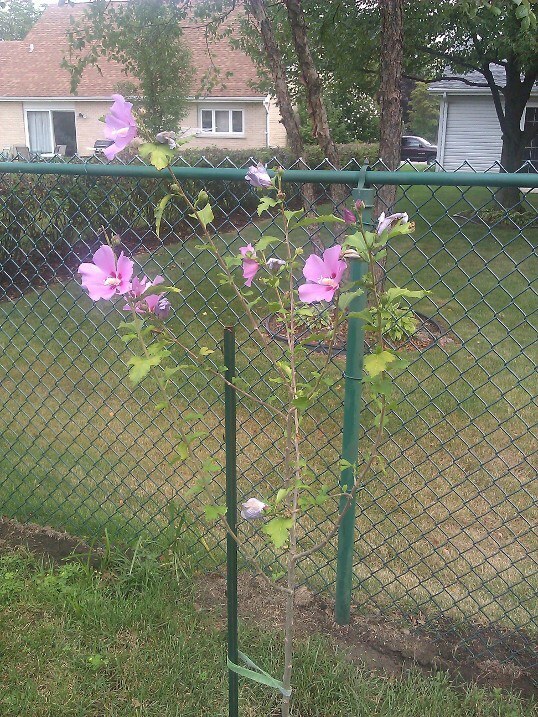 Eventually, he got me a juvenile Rose of Sharon, which I soon planted in my backyard. Root System: The roots are located just below the surface of the soil (few to no surface roots ever appear). Problems (major): Fatal cankers may form in older plants. Cotton root rot is typically fatal in alkaline soils. Problems (minor): The seeds have an extremely high germination rate; they can quickly overtake certain areas. Blight, rust, leaf spots, aphids, scale, and Japanese beetles are all threats. Soil requirements: Requires moist, well-drained soils with a pH from 5.5 to 7.0 (acidic); H. syriacus can adjust to soils of vaious soils. Leaves: Typically 3 inches long, broadly ovate, grow in an alternate fashion with 3 distinct lobes. Flowers: H. syriacus ‘Minerva’ has beautiful light purple flowers with a fascinating red center (called an “eye”) at the center of their five petals. 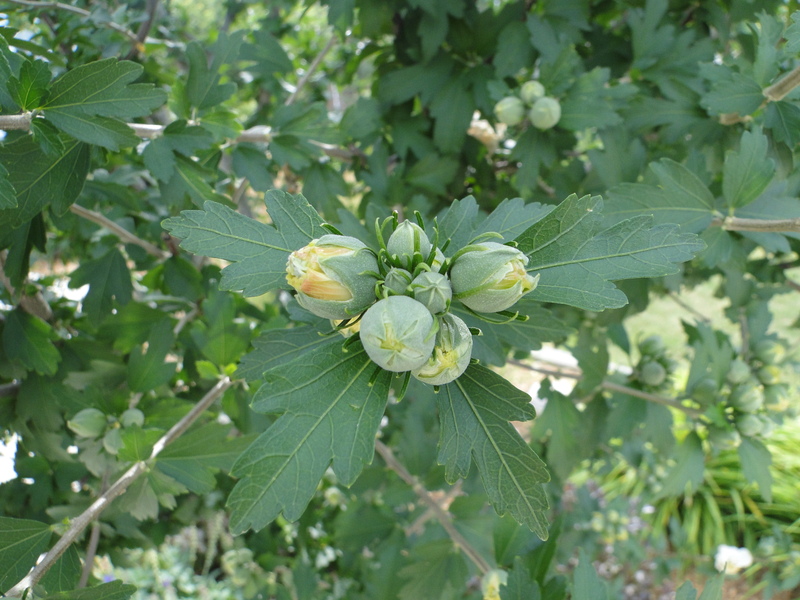 Flowering tripically begins in July and finishes in October. 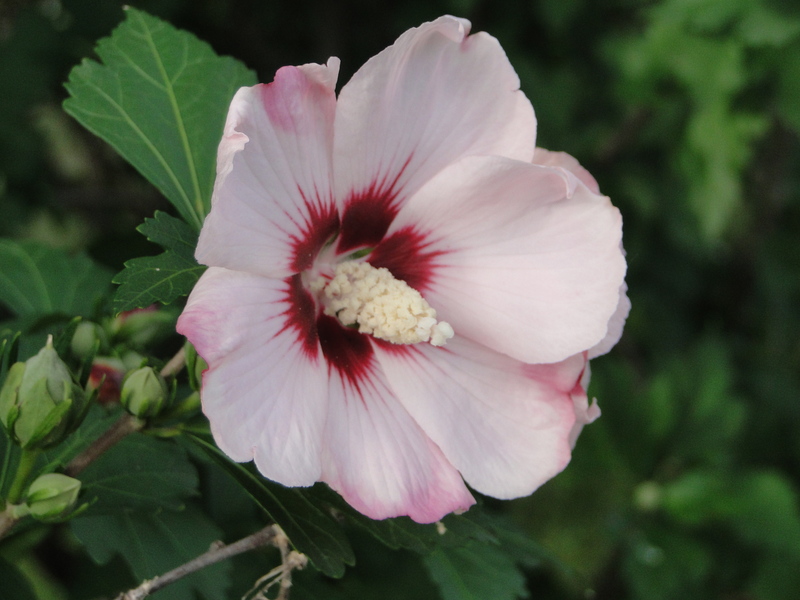 Other cultivars have white, pink, purple, or red flowers. 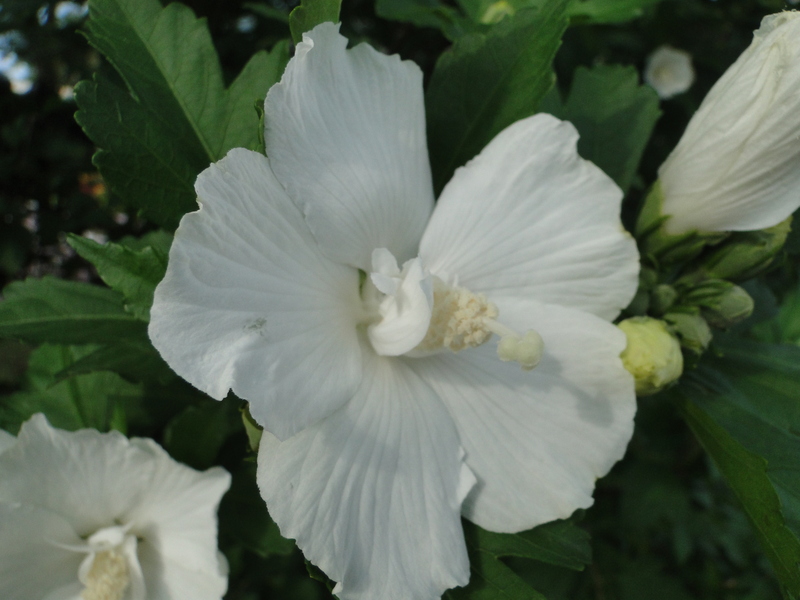 All flowers are roughly 2 to 4 inches in diameter. 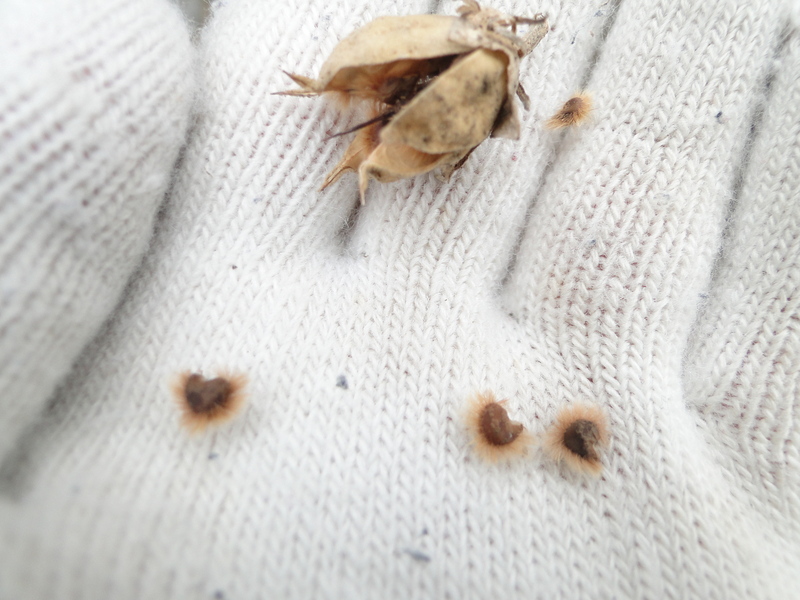 Fruits: The seeds are small (less than 1 inch across), brown centers with fuzzy orange hairs. They have an extraordinarily high germination rate. 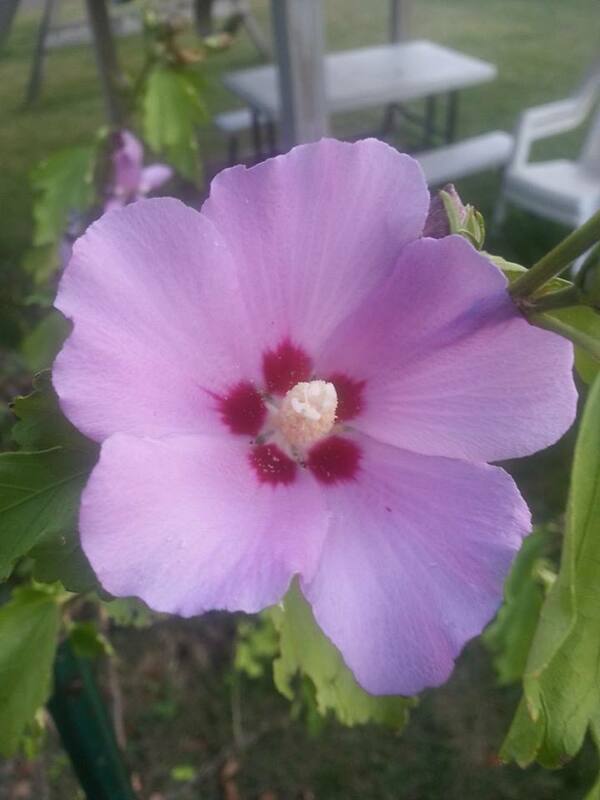 The flowers are typical of Hibiscus plants, although they are generally smaller. Roses of Sharon are extraordinarily well-adapted to most areas, making it an ideal choice to grow. 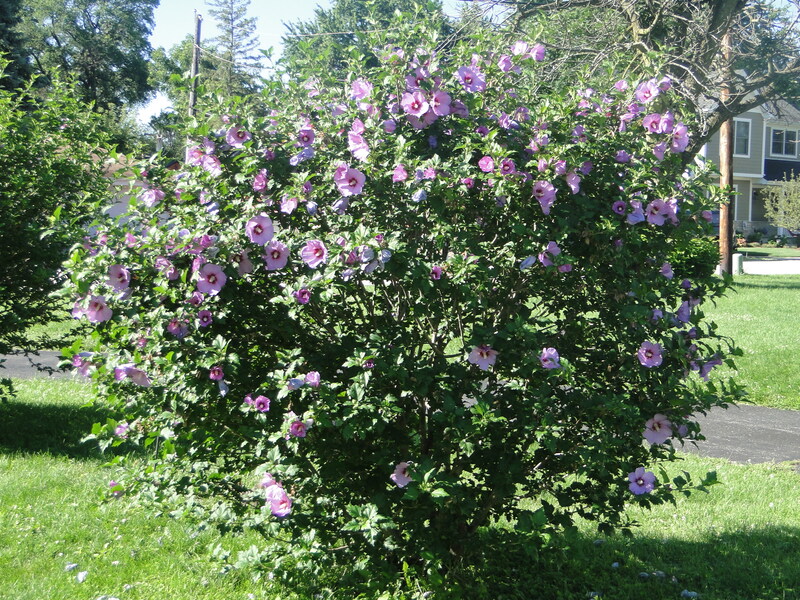 Primarily grown as a large bush or small tree since it tolerates a wide variety of conditions and has gorgeous flowers.